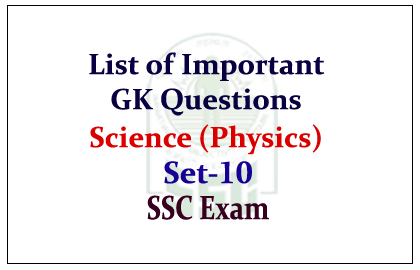 The List of Important GK questions from general science were given here, Candidates those who are preparing for the SSC Exam can use this material. 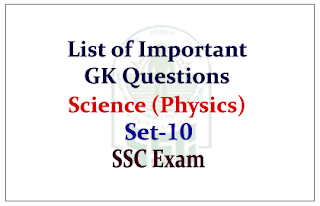 We also provide GK Questions from the topics such as, Indian Polity, History, Geography, Science, Economic and Commerce. 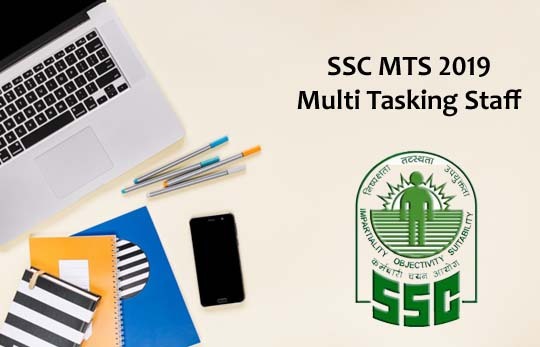 Follow Us Daily for More Study Materials. 1).The relation between the energy of a photon (E) its momentum (P) and its velocity (C) is __________. 2).If a person is unable to see clearly the far off objects then he is suffering from which eye-defect? 3).A ball is thrown horizontally from a tower top and at the same instant another ball is dropped down vertically from the same place. Neglecting the resistance offered by air, state which of the following statements will be correct? a) The velocities of both the balls will be same on collision with the ground. b) They will possess equal energies when in air. c) Both of them will fall together on the ground. d) The ball that is vertically dropped down will reach the ground earlier. 4).Which among the following statement is incorrect regarding the rainbow? 5).Which part of the camera acts as the eye retina? 6).A magnet with ‘M’ magnetic intensity is divided into two parts. The magnetic moment of any one part will be ___________. b) An instrument that keeps the temperature of a system constant. 8).’Newton Second’ is the unit of which among the following? 9).Which one of the following is not correctly matched? 10).Which of the following is correctly matched?